In business there are a million things you could do. The great thing about being an entrepreneur is that we are masters of our own domain. We choose the things to work and focus on! And that is a problem too, we choose… just not always well! Lately the universe has been telling me A LOT that I should jut focus on what I am good at and ignore all the rest. Now this is no 10 Commandments from the mount, instead it has been podcast guests saying how focus made them successful, it has shown that people who tried to force themselves to be good at something foundered and it has been getting knocked down a bit myself when I bit off something that was not a good fit for me! A lesson will keep repeating itself until it is learned. Life first will send the lesson to you in the size of a pebble; if you ignore the pebble, then life will send you a brick; if you ignore the brick, life will send you a brick wall; if you ignore the brick wall, life will send you a demolition truck. Recently I read a post about how Warren Buffet makes decisions what to focus on. 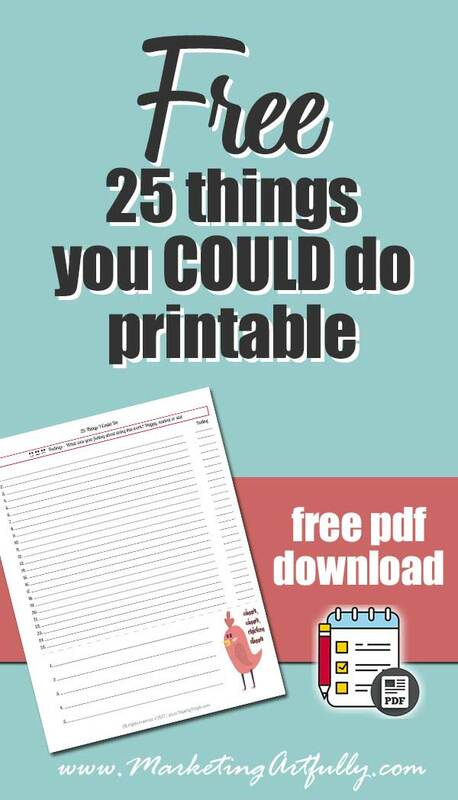 Functionally it is make a list of 25 things you want to do and then narrowing it down to five. Pretty common sense right? The magic in this though is that 20 you didn’t pick don’t get any attention AT ALL until the first five are done. Whoa! I know I have lists of important things, but when they get harder or more boring I slide on down and do some busy work until I get inspired again. I can do a mean justification dance when I want to convince myself that something “has” to get done! So I made myself a form to do this AND pick the top 5, but being me, I knew that I had to think about it a wee bit more than just, “what do you want to do”. That last one was because I started to cheat and do things like “Pinterest” which had 5,000 moving parts. I chose to be super specific about the five tasks I chose. And then I made myself a little “Winner, Winner, Chicken Dinner” piece that I could carry around, tape to my monitor and basically bash myself over the head with to make sure I am staying on track! But What Are You Good At? Okay, now I have my list… you did yours too right? And here is the part that is going to make you happier than you have ever been in you life! Now figure out how to accomplish that list doing only things you like! I am a huge introvert so the first two make me sad, but the last one energizes me and makes me want to get started right now! Another example is a gal I recently talked to who wants to start a makeup business. She heard that the way to go was Instagram and Facebook, but she wasn’t a big social user. As we talked I realized she loves meeting people in person, her family has a huge network of people who love them locally and she had already made some commercial connections that she could build on. Instead of killing herself trying to learn and use Instagram, she could get to work right away doing something she loves. So today I was listening to a delightful woman who talking about how she grew her personal brand by “snapping” on SnapChat and doing “stories” on Instagram. She was super perky and spunky and I could see why people would love her. Her audience is also in that 20-30 age range that loves social media and is a great fit for her brand. Asked about how she does social so effortlessly, she talked about how it was “fun” and let her be “creative”. All I heard was “hard to think of things to say” and “would rather stick a sharp stick in my eye”. At the end the host asked, “do you think someone could learn to do what you do” and she said yes! OF COURSE she said yes! For her it was super easy and effortless so anyone could learn it. Having talked with almost 1,000 entrepreneurs over the years I have been constantly blown away by how many different types of talents people have. Some are social and some are shy. Some can write and some like videos. Some are great in person and some are hermits who like to work in the wee hours of the morning. 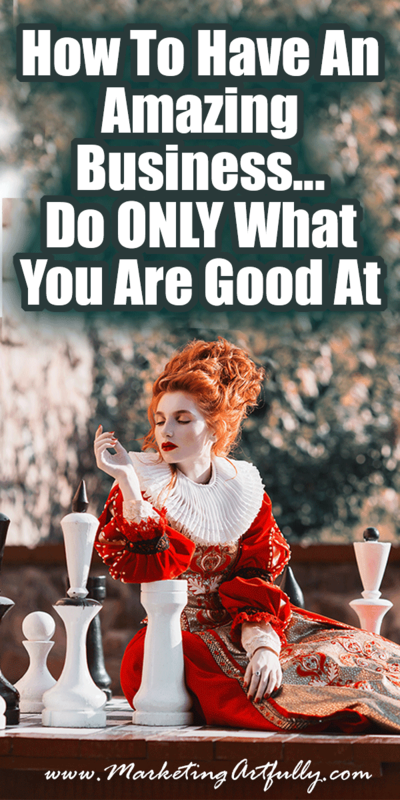 The one thing that I do think is important for YOU is to figure out the things you are good at and then double or triple down on doing your list with those skillsets in mind! Don’t worry that they are too obscure or not cool enough or just old fashioned. Don’t worry that they are too cutting edge and that everyone isn’t doing them yet. Simply focus on doing things that match your strengths and everything else will fall into place! I was done writing this post and then I realized I get the same questions all the time so maybe this a good place to talk about them in one place! How can it be this easy, there are thousands of courses out there teaching new marketing and business strategies every day? Course creators are great people (I make courses!) but they are also teaching you what they know about. Say you see a big “launch” for a course on Facebook Ads. Their JOB is to make a sense of urgency that you have to learn this now or you will be left behind. But honestly, every business doesn’t need to advertise on Facebook or start a podcast or whatever that course is all about. So we shouldn’t take courses? Not at all, I am continually learning, I just make sure that what I am learning is in line with what I like to do. For example, I am taking an advanced Pinterest marketing course this fall. It will be good for learning AND will help keep me moving on one of my goals. But, in my inbox today I found 6 different other promotional emails for courses on QR Codes, Greeting Card Making, a Marketing Membership site, using a Book To Market Your Business, Email Marketing and Setting Up A Shopify store. All of those could be great to know about, but none of them will move my business forward and may distract me. What if what I like isn’t good marketing? I know we hear that only networking works or only social media works or only direct mail works, but honestly any marketing works if you do correctly, to the right audience over time. WHATEVER you are good at can be made to help grow your business, you just need to figure out how to make work for you! What is the biggest problem with marketing? It is funny, all this marketing talk. I have found that most people don’t have a marketing problem, they have a “I don’t know EXACTLY what I am selling” problem. The people who succeed the most easily are the ones that have picked a product (maybe one, maybe a genre) and then focused on that to the exclusion of all else for at least a while. Selling 10 completely different things usually means that you have a poor marketing plan for at least 8 or 9 of them and maybe all ten! Figure out ONE thing you are going to focus on selling or developing this quarter (3 months), then go hard on that one thing until you are sure you have done everything you can and THEN move on to something else. Can you help me figure this all out? 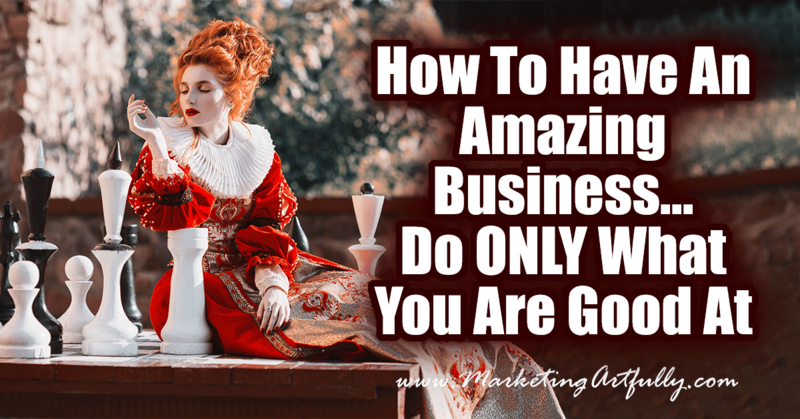 I have worked with LOTS of business owners over the years and my one special skill is listening to you and then figuring out what you would be good at or what you are good already but ignoring now. If you would like to talk, sign up for a one hour marketing consult. I give a 100% money back guarantee and would love to talk you! Previous Post: « Reusing Shipping Supplies For Etsy or Ebay… Tacky or Cost Effective?